Everyone has seen an X-Ray before. They are black and white, or sometimes green and white images of our bones and organs. Well, all of that is about to change. 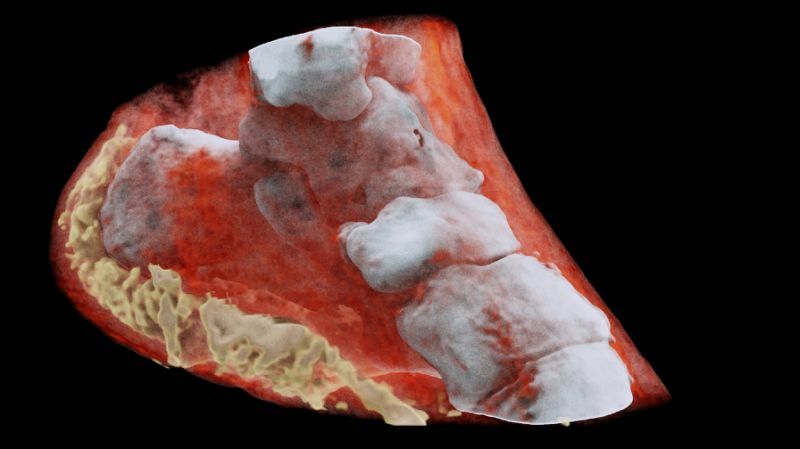 A group of scientists in New Zealand has just done the first three dimensional, color X-Ray on a human. It was done using a new technique that could potentially change the face of modern medicine. The New Zealand contingent wasn’t alone on the project. Along the way, they had a helping hand from Europe’s CERN physics Lab. “This colour X-ray imaging technique could produce clearer and more accurate pictures and help doctors give their patients more accurate diagnoses,” said a CERN statement. As you can see in the pic, the new technology can determine the type of tissue it is photographing and can even determine the size and position of tumors.